Touchdown at Goma International Airport on Saturday 19 August began our introduction back into the hassles of entering DRCongo with Immigration border difficulties / dusty roads / people-people-people everywhere, women selling anything and everything on the sides of the roads…… from flour in open piles to fresh meat laid out on tables in the open / bicycles being pushed along carrying heavy loads / chuck-a-doos (the local wooden push-bike) pushed along the roads with even heavier loads / women carrying/balancing bowls of goods on their heads / horns beeping / cars dodging motos and other cars / and general mayhem everywhere. Then to the quiet and peaceful Maji Matulivu by the lake, where we were warmly welcomed ‘home’ again…. to unpack and settle in for the next few months. 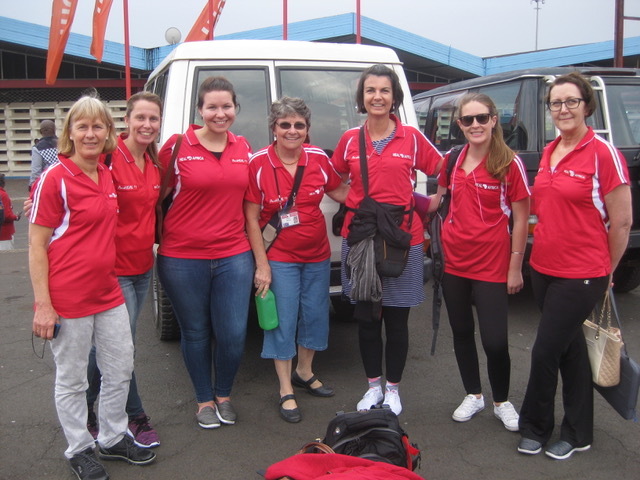 6 AusHEAL Nurses from Brisbane arrived at Goma Airport to be met by similar hassles. 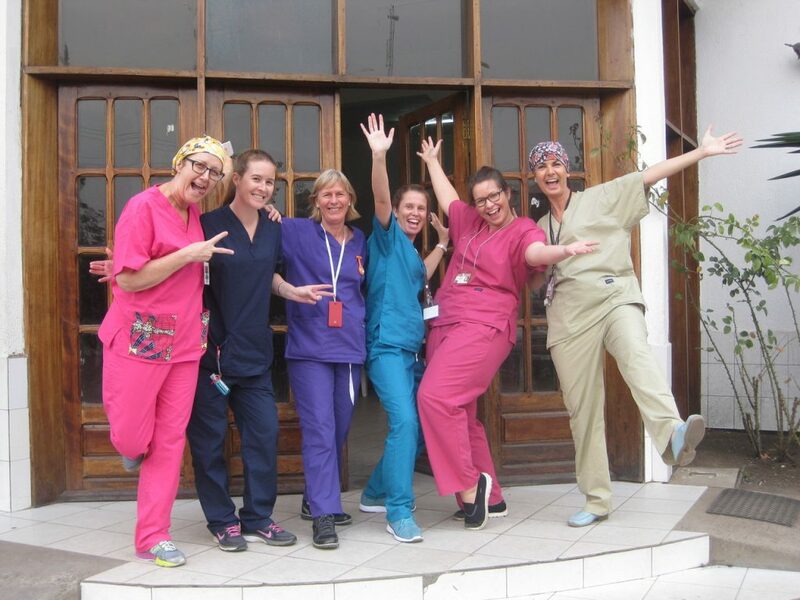 Sunday was their day to recover from the long trip before starting work early on Monday morning 28 August with attendance at the Nurses 7.30am meeting. 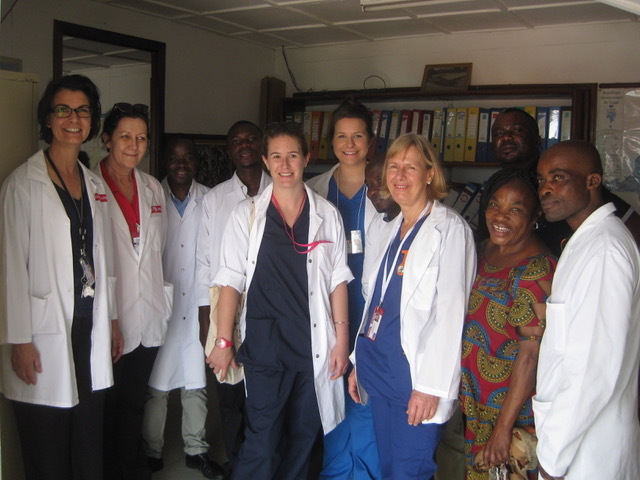 Thursday, the AusHEAL Nursing Team was invited to meet with the Provincial Minister of Health (North Kivu Province). 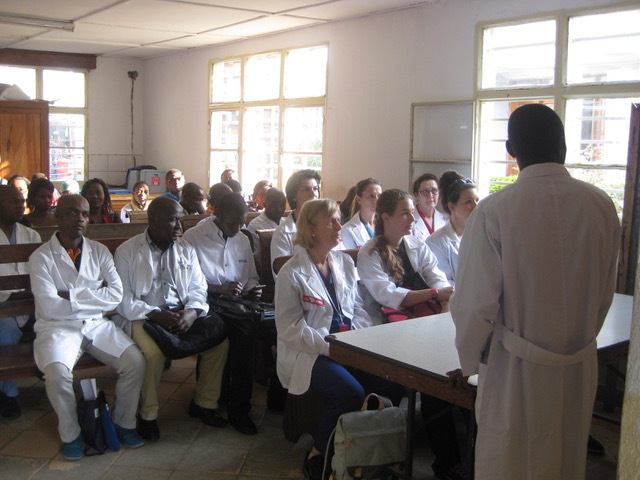 He warmly welcomed our team to Goma and expressed his appreciation for the efforts made to come to teach and train HEAL Africa staff. 4 HEAL Africa COSECSA Trainers (together with the HAH CEO) travelled to Kigali for a ‘Train the Trainers Course’ conducted by the College of Surgeons of East, Central and Southern Africa (COSECSA). All believed the course was worthwhile. Each of the Trainers gained official registration from the College. At the end of Chapel on Friday morning, the HEAL Africa CEO, Dr Justin, announced to the staff the plans to build a new Women’s and Children’s Pavilion on the Hospital site as well as a new building dedicated for the care of fistula patients. This will build the capacity of the hospital to treat the ever-increasing numbers of women and children who need to be hospitalised. The CT Scanner is still not in working order, however our visiting AusHEAL Radiologist will next week be bring further replacement parts. Radiology staff are trusting it will very soon be functioning well. The Oxygen Plant donated and transported through AusHEAL has arrived at HEAL Africa Hospital. It awaits a visit from an Engineer from Australia to install and connect it.